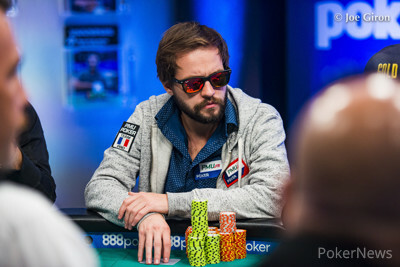 Hand #59: Erwann Pecheux open-shoved 3,700,000 from the cutoff. 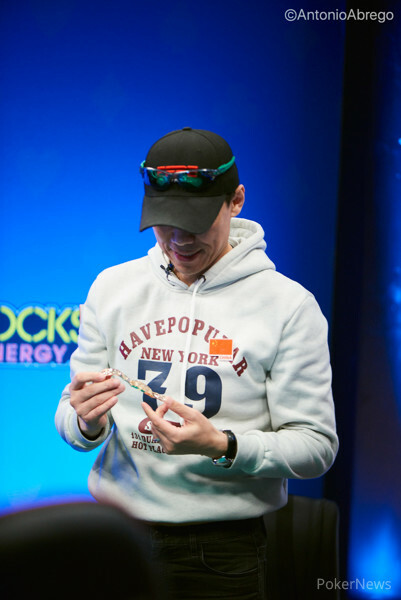 Francois Tosques reshoved 5,120,000 on the button. Jon Hoellein thought for a minute before folding in the small blind and Richard Douglas folded as well. Both Frenchmen, also teammates, gave each other the 'nothing we can do' stare. The flop gave Pecheux a double gutter to go with his ace. The was a brick and the on the river was one likewise. Tosques and Pecheux hugged and the latter walked off the stage shortly after.